I KNOW! I read this one in one sitting too and quite liked it, you know, but then I promptly forgot all about it until just now. I hardly think it deserves all the hype. I agree that it breaks away fro a very formulaic (sub)genre, and that the writing isn't half bad (although certainly not memorable either), but I don't think all the attention it got is justified. I'm reluctant with the age gap issue. It's true that age is just number. What matters is maturity. I'm not sure that a sixteen year old has the maturity to hold a relationship with a thirty something woman. But maybe that's because I haven't read this book yet though. Still, it's great you enjoyed it despite thinking it's not THAT great of a book. I know what you mean out this one, Keertana. I think I rated it higher than you but it really was a book that won me over because it kept me turning pages, always worrying what would happen next, rather than a masterpiece of storytelling. And yes, I do think that their getting together on the island was more a matter of circumstance and a situation where they grew close because they were under extreme duress, yet there is something really sweet about their love story. It does seem implausible that it could withstand the return home, but I really like that it ended like it did. Great review! Oh my goodness, I think you're the only friend I have who didn't gush with 4/5 stars. I felt very similarly about it--it was a pleasant read, but not one that I'd pull out as being exceptional in either the romance or the survival aspects. But the May-December part was done pretty well, imo. I'm with you. I liked the book pretty well, but I don't quite get the hype over it. It's a good story but I thought the end went on longer than necessary and I like stories that are well wrapped up. Still a good book though! What I loved about this book is that when I started it I could not see how this author could convince me of the relationship between TJ and Anna. But then I really grew to love them together. Of course it was convenience and how much they relied on each other at first, but there's no way they would have gotten together without those circumstances. 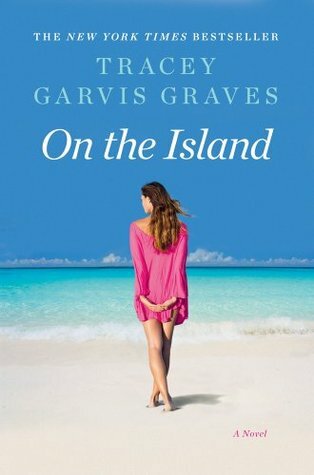 I agree with you, that the best part of this story is that the author took the characters past the island and into their real lives and showed us how their relationship played out in society. That made this book shine. Though it didn't blow you away, I'm glad you enjoyed this one. See, I really love survival stories, and yet this is one that never really appealed to me in any regard, and so I'm happy to see you say it's fine but not really worth the hype. I do think the examination of this relationship after it's no longer a necessity is really interesting, but at the same time, I don't think this combination of elements is what I look for in either a survival or a romance story. I'm just not sure that mashing would work for me.